It was one of those hot but colourful days when you want to quench your thirst each moment you take a turn in those tight lanes and bylanes of old Delhi. The month of Ramzan (Ramadan) brings unique colours into the lives of the believers in one way or the other. That blissful win over that eagerness to gulp in a bite to defeat a tussling empty stomach. Conquest, battle within a battle, empowerment, enrichment is what one feels somewhere within. The physical fast is a way of learning to be above the demands of the body while also stepping into the shoes of people who routinely do not have enough to eat. 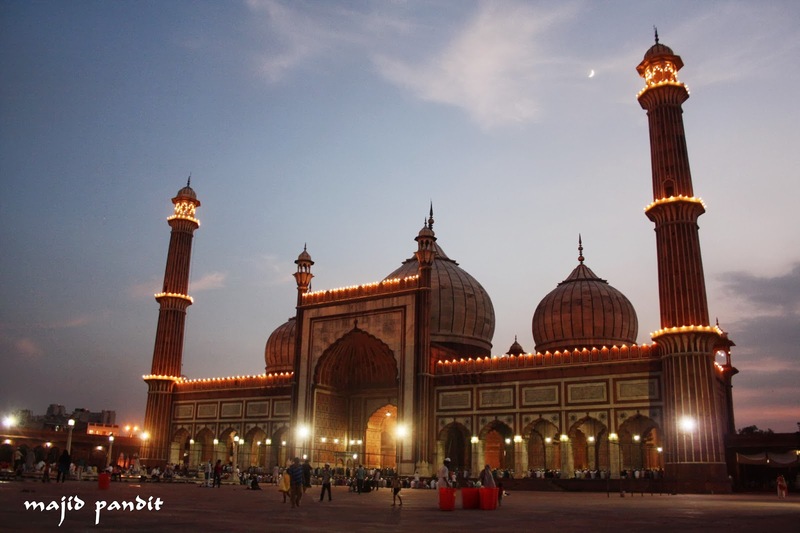 That day was a battle through the busy streets of Chawri bazar to reach the magnanimous Jama Masjid just in time. As soon as I stepped in barefooted over the tiles of hot red stone, I could see young men and boys arranging queues of platters full of delicacies to be distributed among the attendants to open a day long fast. Thudd! Two shattering blasts marked the end of the fast. The blasts are echos of simpler times, before most people owned a clock or watch and there were no loudspeakers or TV channels to announce the Iftar time. The cannon is fired each day to announce the breaking of the fast at the sunset prayers of Maghrib. I managed to capture few light moments right before the sun faded away. The hue and aura captivated the senses and one could feel mystic sublime soothing one's inner self. 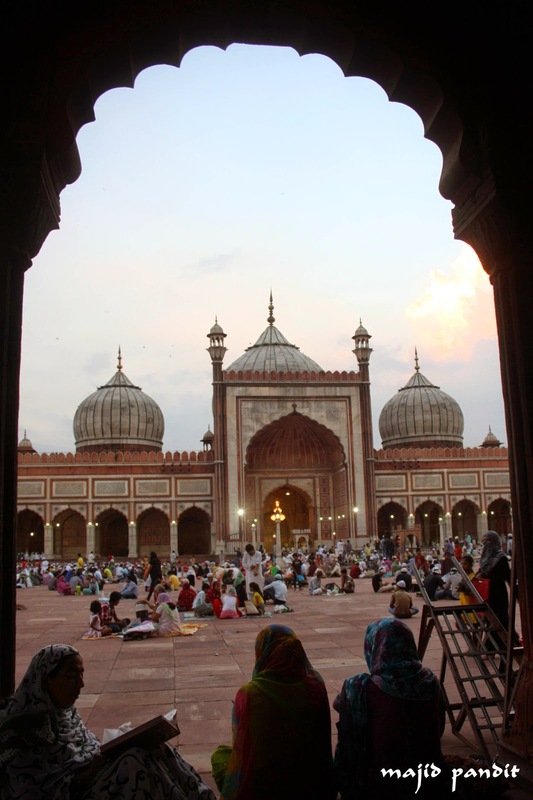 Above: Women waiting for maghrib while reciting Holy Quran. Above: Jama Masjid after dusk.